Gibbs Lake, Washington, USA; 1000x, DIC. 25 Apr 2009. Karl Bruun. © Karl Bruun (skogenman@earthlink.net). 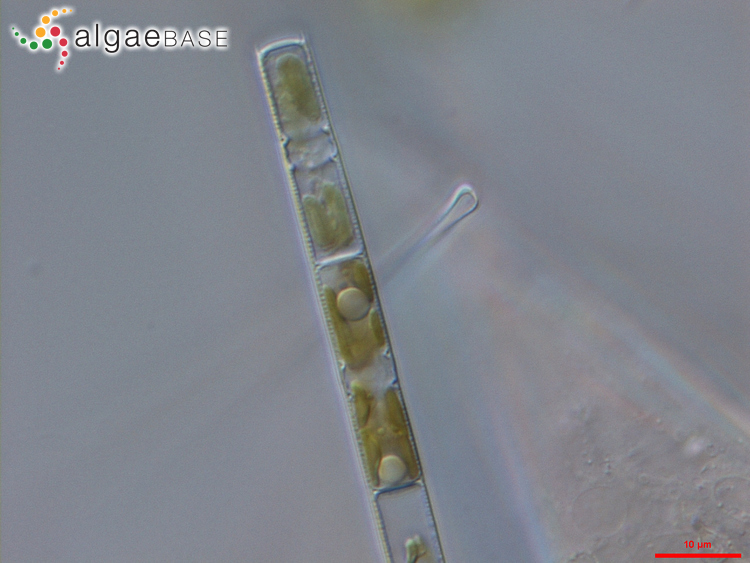 Type locality: "Diatomaceous earth from Santa Fiora, collected by Klaproth" (Tuji 2016). Lectotype: Klaproth; BHUPM Ehrenberg-Collection 290706 (Crawford, Likhoshway & Jahn 2003 Notes: Lectotype (designated in Crawford et al. 2003): BHUPM Ehrenberg-Collection : 290706 a red. Simonsen, R. (1979). The diatom system: ideas on phylogeny. Bacillaria 2: 9-71. Cleve-Euler, A. (1951). Die Diatomeen von Schweden und Finnland. [TeilI. I. Centricae]. Kungliga Svenska Vetenskapsakademiens Handlingar, ser. IV 2(1): 1-163, 6 pls. Edlund, M.B., Williams, R.M. & Soninkhishig, N. (2003). The planktonic diatom diversity of ancient Lake Hovsgol, Mongolia. Phycologia 42: 232-260. Accesses: This record has been accessed by users 1675 times since it was created. Fairburn, S., Gibson, C.E. & Foy, R.H. (1987). Preliminary observations of the physiology of Melosira italica subspecies subarctica: culture medium and cell composition. British Phycological Journal 22: 89-95. Lund, J.W.G. (1954). The seasonal cycle of the plankton diatom Melosira italica (Her.) Kütz. subsp. subarctica O. Müll. Journal of Ecology 42: 151-179. Lund, J.W.G. (1955). Further observations on the seasonal cycle of Melosira italica (Her.) Kütz. subsp. subarctica O. Müll. Journal of Ecology 43: 90-102. Lund, J.W.G. (1971). 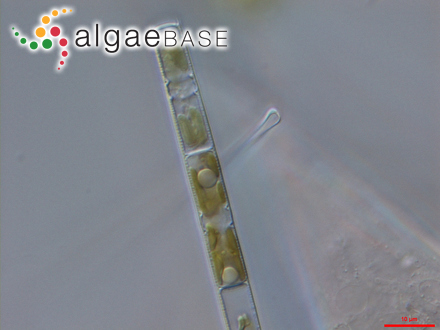 An artifical alteration of the seasonal cycle of the plankton diatom Melosira italica subsp. subarctica in an English lake. Journal of Ecology 59: 521-533.